The majority of companies today report that community involvement contributes to key business goals, including improved reputation and the attraction and retention of top employees. A recent study from Boston College highlights the important relationship between community involvement efforts—such as employee volunteer programs—to employee engagement. Another report from PwC showed that employees most committed to their organizations put in 57% more efort on the job and are 87% less likley to resign than employees who considered themselves disengaged. Why corporate community engagement? Because it makes good business sense. 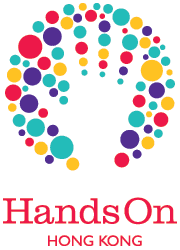 HandsOn Hong Kong helps corporate partners achieve CSR and community engagement objectives through customized volunteer opportunities for employees. Whether it's ongoing service programs or larger, one-off activities, HOHK's experienced team plans, organizes and project-manages, providing a full-service, turn-key experience for corporates. Our programs are tailored to meet specific requirements, such as incorporating team-building elements, skills-based volunteering or including customers or family members. By outsourcing the organization of these programs to HOHK, companies benefit from our expertise, leaving time to concentrate on their core business. See examples of recent corporate volunteer programs here. Fees paid by corporates for this customized service cover not only the costs of the activity but also support HOHK's year-round volunteer programs that are provided free-of-charge to the public.